One fact of life is that all of us will experience drops in essential hormones as we age. 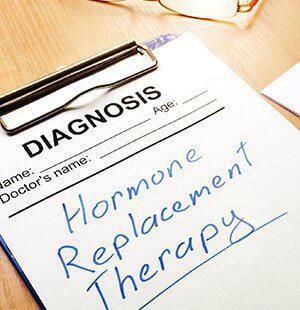 Most of us will begin to experience hormone loss by the age of 30. This gradual decline in hormone levels can have a dramatic negative impact on our health and overall wellness, even though the average life expectancy has increased. Hormone deficiencies can lead to problems related to fatigue, depression, weight gain, low libido and other common issues. However, Winnie King, MD Aesthetics and Wellness, located in Shenandoah, Texas, can help. In a 5-minute procedure the hormone pellets containing bio-identical estrogen or testosterone the size of a grain of rice are painlessly inserted under the skin in a buttock. That's it. The pellets are manufactured in the US under strict conditions with FDA over site. They typically last up to 4 months for women and 6 months for men. It's very affordable and effective. Aging is a normal part of life, but you have a choice of how well you live as you age. It's time to get your groove back. Let's start by measuring your hormone levels so we can see where your deficiencies are. For more information about BioTE ® or to schedule an appointment, call Winnie King, MD Aesthetics and Wellness.